For those of you who have just joined us –welcome. Let me explain the things us ramblers are chatting about. We are looking at the way God is bringing us from an old culture into a kingdom culture. 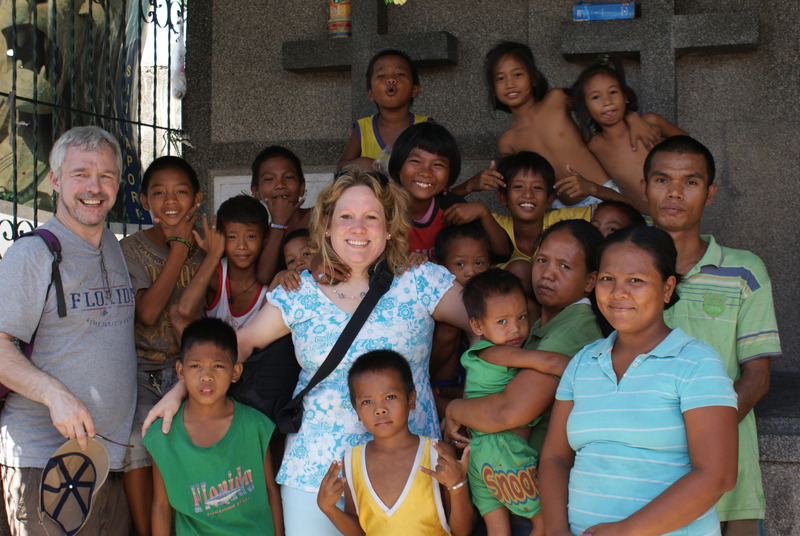 To help us do this we are looking at the Philippine culture and seeing what God is saying to us through it. With the heat soaring up to 100°F and humidity around 80% the Filipinos find it uncomfortable to walk. It was amusing trying to explain to our Filipino friends that some Britains enjoy walking for fun – they couldn’t believe it. Because few people walk in Manila there are lots of differing transport to choose from. 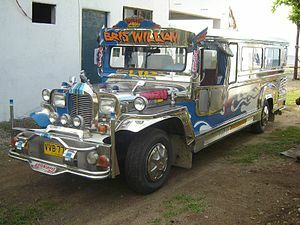 You may want to travel on a Jeepney, a taxi, a tricycle, a motorbike, car, horse and cart, bicycle or coach. Take your pick. The roads in Manila are full of traffic, swerving, beeping their horns and finding their way from A to B. The road markings are guidelines and marked lanes are not mandatory. Vehicles are joining roads, changing lanes, overtaking and turning from everywhere, it is a real experience to see! If you did choose to walk along the roadside there are rarely pavements. There may be one for a while and then a few market stalls, or a ditch with rubbish in, or it might just disappear. The journey in this new culture, we have been exploring together, is different from anything we have experienced before. There is not someone telling us where to go, what to believe and what to do. In my Christian walk I feel that I have always had authorities giving me white lines to travel within, markers that define what I think and how I should behave. There has been temptation to clone thinking and behaviour, to count as dangerous or an alien anyone with differing thoughts and to restrict movement so that it is containable. Now I feel the white lines are optional. I can choose, think and behave according to the real me. No longer are we travelling on mass. There is still unity, still co-hesion, but there is also a new freedom to explore. Some may wish to take a Jeepney to the market, others a tricycle to the mall, others a taxi to eat out. Different groups of people have the freedom to go where they want without judgement. Even those that chose to travel together they will not find they walk in single line behind a leader. They will explore different things and come back to share what they have found. One may go to the cloth stall to feel and explore the colours, one may go to the bakery to try the cakes, one may go to the book stall to find some further knowledge – then the individuals will cross paths, share stories and perhaps take each other to the best places. The adventures then meet up with a unity of spirit to share the exciting treasures and truths they have found together. What stops this turning into chaos? It is the heart connection. The honouring and respecting of authority that pulls everyone together and sets a direction for the next area of exploration. For the desire of the travellers to honour each other and put each other first. Togetherness is no longer the fact that everyone is in the same room doing the same thing, but a connection of heart in their various stages of advance. It is being real, honest and sharing a common vision and purpose. There is a compass of God’s word, there is a direction to head for, but there are ways of exploring all that Jesus has done for us. Today: What area of God are you exploring right now? Why is it you are exploring that? Who are you meeting with to share your new found treasures? I’m afraid it will have to be a quick report today as we are packing. We drove to the South West Manila province today to meet a relatively new project called the Durian Project. The aim the project is to help families living in abject poverty in a cemetery and educate the children for a future. It is about giving the children hope, choice, honour and freedom. We met the teachers Sally, Crystal and Pinky. Pinky is quite a character! Then went to the cemetery and met some of the families in their “homes”. After that we went to the newly purchased Pentecostal church building that is related to the project. (travelling by Jeepney). The children need sponsors to be educated through school as they only have 17 sponsors right now. Below is the “home” for a family of six. Tonight Anne Shirley and her sister took us to Manila Bay to watch the sunset. We then went to the old Manila and had a meal in a sixteenth century Spanish house that had been converted into a restaurant. We ate to music from a grand piano and then were entertained with music and dance that represented the Philippines through the ages. A real treat. Tomorrow morning we are leaving for Palawan to meet Duncan and Sarah who have a project there. It is called the Father’s Refuge for orphans, street kids and helping provision through farming. They have had 2 goat kids and some piglets recently. We leave tomorrow at 5.30am. Presence – what is it about? Moses sees God face to face -what does Joshua see?